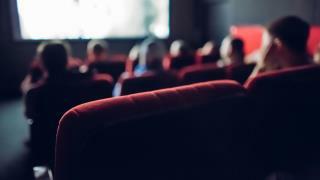 (Newser) – The Minneapolis Star Tribune's film critic has resigned in the face of plagiarism accusations, the newspaper reported in an apology to its readers. The newspaper on Tuesday said it was tipped by a reader and confirmed instances in which Colin Covert's reviews included unique phrases previously used by writers for several publications, including the New York Times, Paste magazine, vulture.com, the Wall Street Journal, IndieWire and the Hollywood Reporter. "Using distinct phrasing from other authors without attribution is a form of plagiarism and is a violation of our journalistic standards and ethics and those of our industry," the newspaper said in its statement. Covert had been a staff writer at the Star Tribune for more than 30 years, the AP reports. Well, the movies are all the same, so why shouldn't it be the same with the reviews? How hard can it be to write a movie review in your own words? Get a real job. So does that mean The Queen of Tarts will resign for stealing all of Michelle Obama's speeches and then lieing about it?